Keep checking for those nasty red beetles and their offspring! Pick adults and larvae off and destroy. 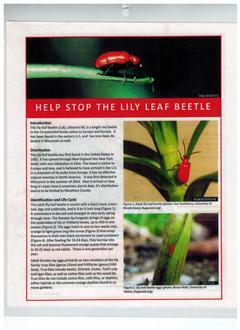 These invasive and destructive insects will kill your lilies if not removed.